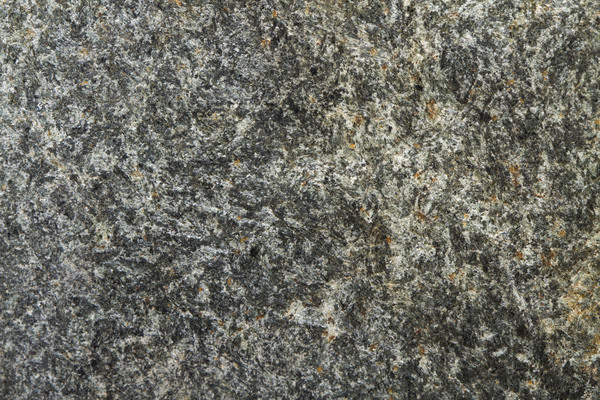 Many kinds of igneous rocks from granite to gabbro were chosen for bannerstone construction. 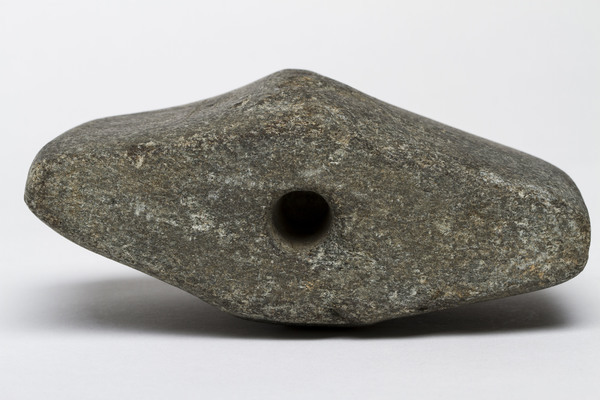 Especially in Georgia, and other regions of the Southeast, rocks were chosen and carved into preforms that could be traded and completed at another time or cached or buried in this partially completed state. 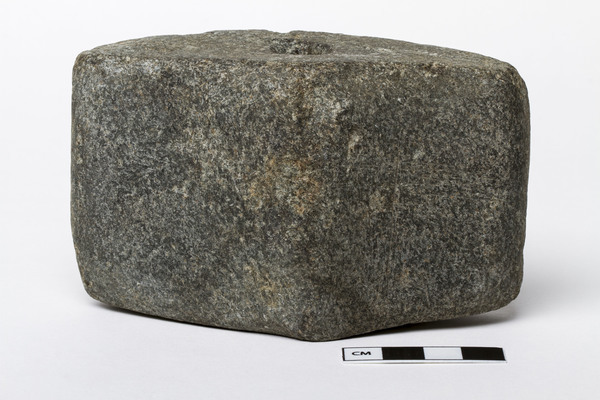 AMNH 2/1919 is a Rectangular preform found in the Chattahoochee River valley in Alabama. It is made of a dark greenish-gray gabbro and is partially perforated on one side with a solid wooden rather than the more common hollow cane drill. Details of the surface of the bannerstone reveal both the unfinished, preform state as well as the natural array of minerals common to intrusive igneous rock like gabbro.